Guest post by my sister Estrella Gallardo Osuna (Tilly). Thank you to my brother Juan for a perfect organization for our family trip to Myanmar. I would not change a single minute of this incredible and unforgettable experience. 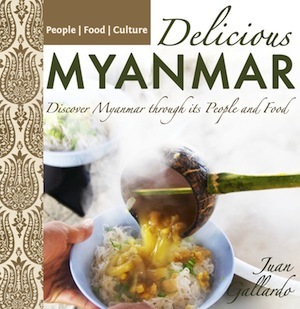 I highly recommend to explore Myanmar and learn its traditions, taste its food and most importantly meet its true people. Yangon is a very different city to all the ones I have visited before. It’s unique. From one hand, you can find crowded and vibrant Bogyoke Market where you can find anything from jewellery to decoration, fabrics and clothes. On the other hand you can find peaceful places such as Kandawgyi Park and impressive religious sights such as Shwedagon Pagoda. Yangon has a different smell not very pleasant but soon you forget about it getting distracted watching people and sellers. Definitely it is worth to visit and stay at least two days. We stayed in Clover City Center Plus, which is really good value for money and can’t be better located downtown Yangon. If you like to taste local food, there are two good restaurants with delicious Burmese food that I really enjoyed, one is House of Memories and the second one is Shan Yoe Yar. House of Memories is more like entering into a family home than a restaurant. It is a more than 100 years old colonial villa with a lot of history behind its walls and very good food. Shan Yoe Yar is another beautiful Burmese restaurant worth to check out, with delicious Shan State food and very good service in downtown Yangon. Travelling by car is a very good opportunity to see landscapes and different villages on the way to your destination. We decided to rent a 7 seater van with a driver that took us to all the places we wanted to see. It is very convenient and comfortable option really worth it for its price (around 200 US dollars per day). We were 7 people, which made it around 30 US dollar per person per day. Our first destination was Kalaw to go the next day and visit Green Hill Valley Elephant Camp. In Kalaw we stayed in Pine Breeze Hotel, a great 2-star mid-range hotel with good views of the town and mountains. Green Hill Valley is an elephant camp just half an our drive from Kalaw which is focused on rescuing elephants from the timber industry and giving them their deserved retirement within a peaceful environment, lot of rest, medical treatment needed and most importantly love from their mahouts and tourists. We spent all morning feeding, bathing and interacting with the elephants and then had an amazing lunch just in the middle of the jungle. Unique and magical experience and nothing to do with the circus type elephant experience. By the way, don’t miss Seven Sisters Restaurant in Kalaw. Delicious food and amazing staff. We drove to Nyaung Shwe, the main town by the lake, but if you have enough time in Myanmar, I recommend to do a 3 days (2 nights) trekking from Kalaw to Nyaung Shwe. It is fantastic! In Nyaung Shwe we stayed in a very nice hotel (Sandalwood hotel) just 1 minute walk to the main jetty. The next morning we walked to the jetty where we rented a boat (motorized canoe) to explore the lake. In the boat there is space for 6 people with seats and it just costs around 8 US dollars for all day. 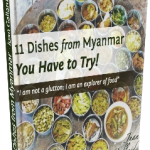 It is an incredible ride and the driver stops in really interesting workshops where Burmese craftspeople show you the process of making different arts and crafts after seen it you can buy some of their products. The most interesting workshops were: silver, Burmese parasols, lotus silk and cheroot (Burmese cigars). It is amazing how skilled they are making all these products. The lake is definitely a must-see because of its floating villages, floating gardens, beautiful views of the mountains and lake, and because of the fishermen using their unique style of one-leg paddling. On our 8 hour road trip we had an amazing time and met lovely people. We stop the van because of a long queue of women carrying flowers to a Monastery. They were so happy to meet us that invited us to the ceremony and wanted to take pictures with us, so did we. Definitely worth to travel by land to see, experience and communicate with locals. I was very impressed when we arrived to Bagan. It is an impressive city with more than 2,500 temples. We rented electric bikes and went to visit the most important temples. I highly recommend to rent one of this bikes. They are everywhere, they are very cheap and it is a lot of fun! I love all the spontaneous and unexpected stories that happened to me in this country, such as stopping the bike and get invaded by three little angels that only wanted to play with me. At five o’clock in the morning we were picked up from our hotel (Kaday Aung Hotel) to go on the balloon adventure! Flying over the temples of Bagan was an unforgettable experience from the beginning till the end. The flight lasted 1hr and 26 min and it was one of the highlight of the trip. This time we flew. Travelling by land one way and flying the way back I think it’s the perfect way to do it. You get to see the little villages and the scenery but it’s also nice and comfortable to just take a 1 hour flight back to Yangon. Myanmar is a different world, full of new things to explore and discover. Thanaka make-up, longyis, monks, betel nut, very particular smells from fruits and vegetable,… all these are very common in Burmese daily routine. From this magical experience I would highlight people’s kindness, hospitality and love. It is a place where you feel like at home and very safe. I am aware that it will be difficult to have this once in a lifetime experience again but I can’t wait to go back to Myanmar and feel their happiness again. This is a very special post from my little sister Tilly. I was extremely happy to have my family in Myanmar for a couple of weeks and show them the beauty of the country not only in pictures and stories, but in real life. Now they understand much better why I am living here and why I am in love with this country. My sister is an English teacher who loves travelling and exploring new cultures all over the world. Very proud of her and love her loads! If you want to organize a similar trip let me know, I’m happy to help and connect you to my local friends who can book everything for you.